Tonya Walker – AKA The Shoe Maven – has teamed up with Bloomingdales in Orlando, Florida, and Team Fox, for a unique collaboration. 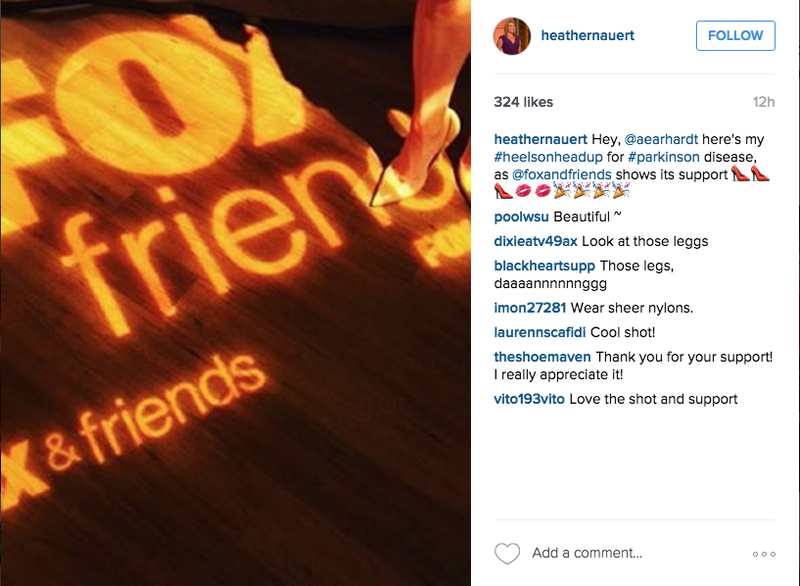 She slipped on her favourite heels, took a picture and posted it to social media with the hashtag #HeelsOnHeadUp to raise awareness for young-onset Parkinson’s disease. Throughout April, the Orlando Bloomingdale’s store has been donating 10% of supporters’ shoe sales to The Michael J Fox Foundation as part of the ‘Heels On Head Up’ campaign. The campaign has caught the attention of the global media with coverage by Fox news and The Michael J Fox Foundation. Fox news anchors reported on the campaign live from their studio, and presenters Sonni Abatta and Heather Nauert posted pictures of themselves in their heel to their social media accounts. 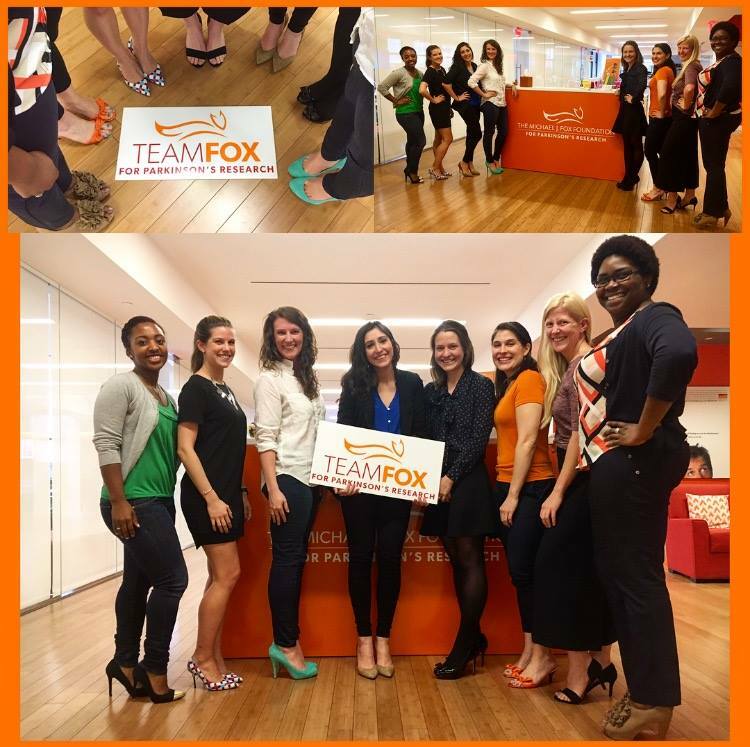 The Michael J Fox Foundation Fox Feed blog published a post on the campaign and lots of their staff strapped on their heels for a group photo opportunity. Myrdin Thompson, an ultra-marathoner and Team Fox fundraiser jokingly tweeted that heels have to be swapped for trainers when undertaking long-distance charity runs. Morgan Most, a professional poker player, writer, wife, mother and person living with Parkinson’s put on her favourite heels – and best poker face – for this shot taken in the middle of a high stakes game. Bodybuilding and fitness competitor Alison Sheltrown posted a competition picture wearing perspex heels to Instagram. Kristina, who runs fashion and lifestyle blog ‘day in my dream’, tweeted this gorgeous shot. To help raise awareness for YOPD join the campaign and post your pictures to social media.